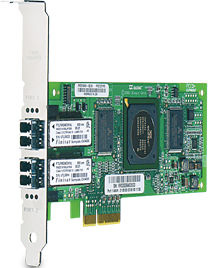 4Gb PCI-Express single and dual channel I/O connectivity for HP storage arrays supported with a broad range of operating systems. 4 Gb Fibre Channel increases aggregate throughput rate to 800 MBps per channel in full-duplex mode. 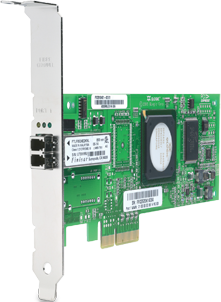 PCI-Express host bus interface for high throughput applications. Include full fabric support with automatic topology and speed adaptation. Please visit www.hp.com/storage/spock for the latest available information on Operating System support.